7'H x 7'W, Square Screen with a 3' Sock-Net. Black, double-thick 691-90 ply, poly-E netting. Screens are easily assembled—no welding or lacing. All joints are double-bolted for maximum strength and superior longevity. 1.5-inch-diameter, 2mm-thick, 1020 cold-rolled steel frame tubing. 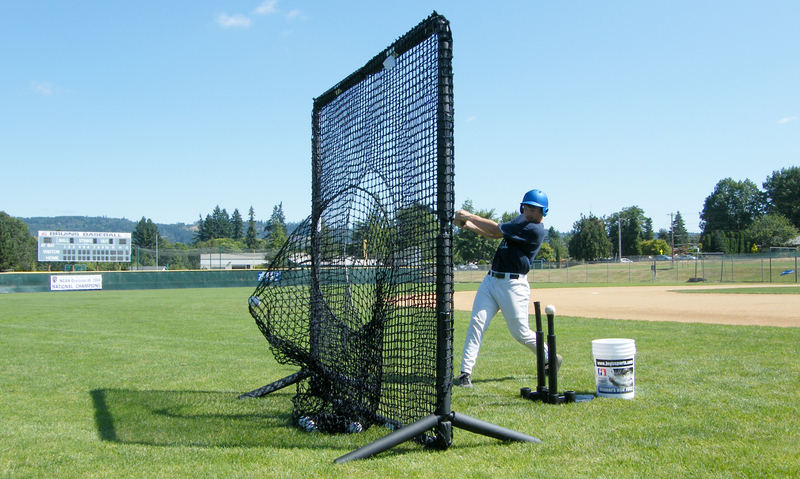 2-Year Guarantee on netting and frame: No one guarantees their screens longer. JUGS Protector Series Wheel Kit enables one person to easily move protector series screens by themselves. Quickly attaches to any JUGS Protector Series Screen.